Circa 1950-1959: The variety of pitchers that Frederick Rhead designed and produced for Homer Laughlin is really impressive. 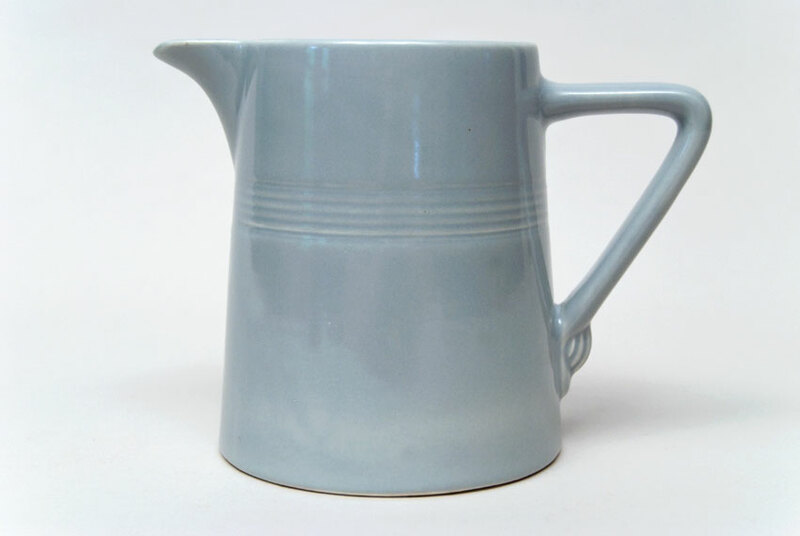 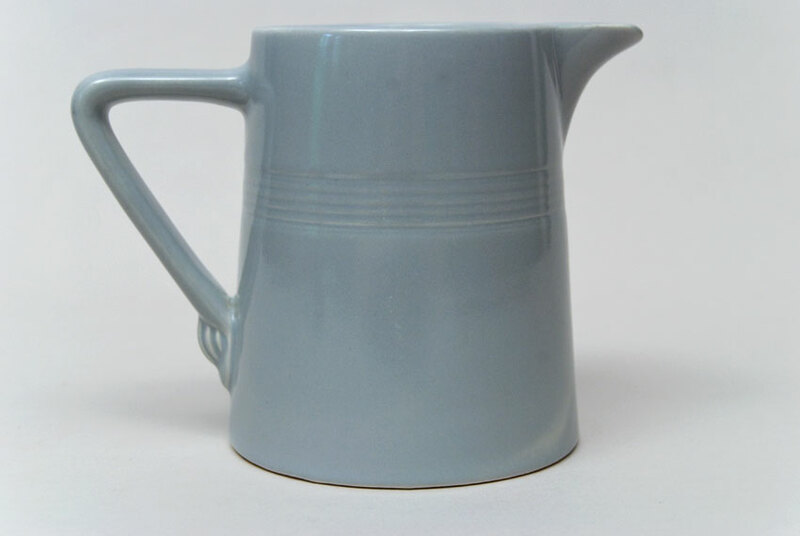 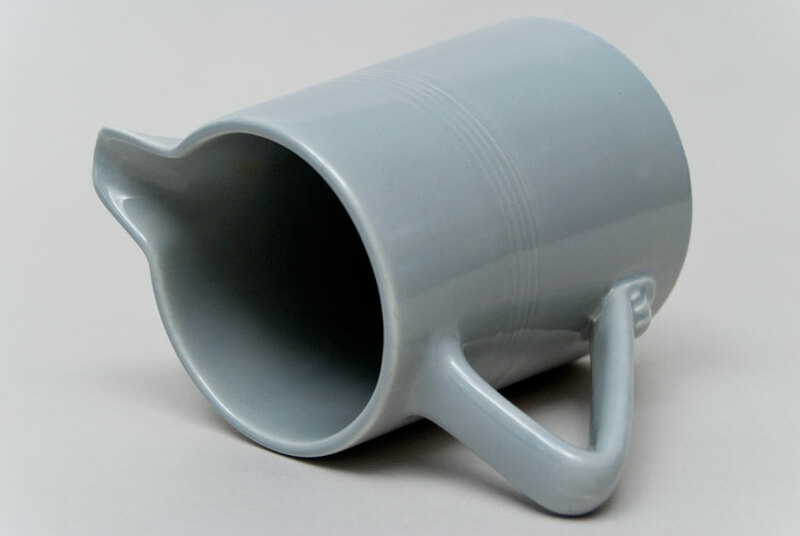 This version of a milk jug for the Harlequin line, referred to as the 22 ounce jug, is one of the boldest and jovial design of them all. 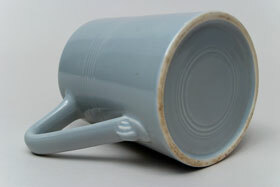 The jutting handle and spout nearly double its width and the restrained decoration are superb. 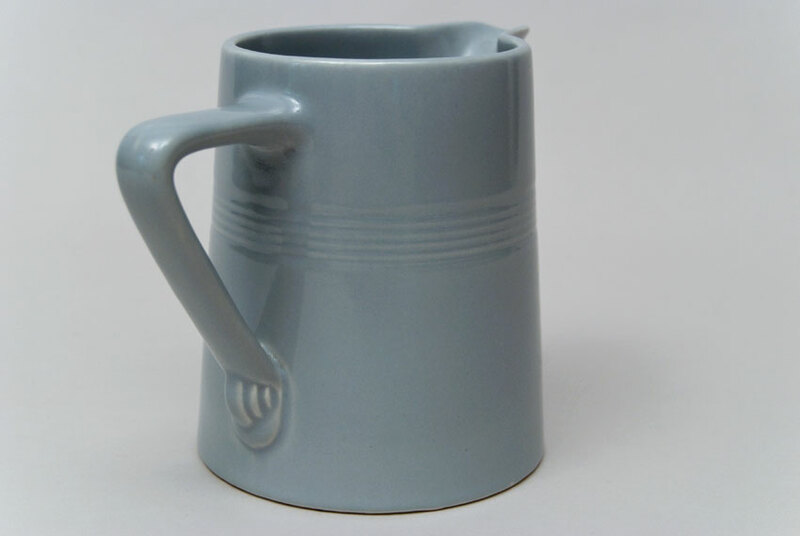 This example in the 50s release of gray is in excellent condition with no touch-ups or repairs— produced in far less quanities than the earlier colors and for a shorter length of time make finding the 50s Harlequin 22 oz. pitcher a great find. 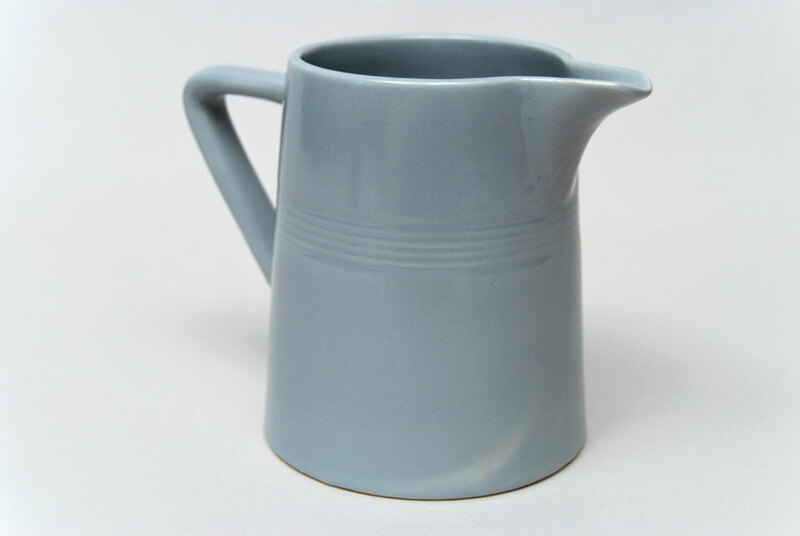 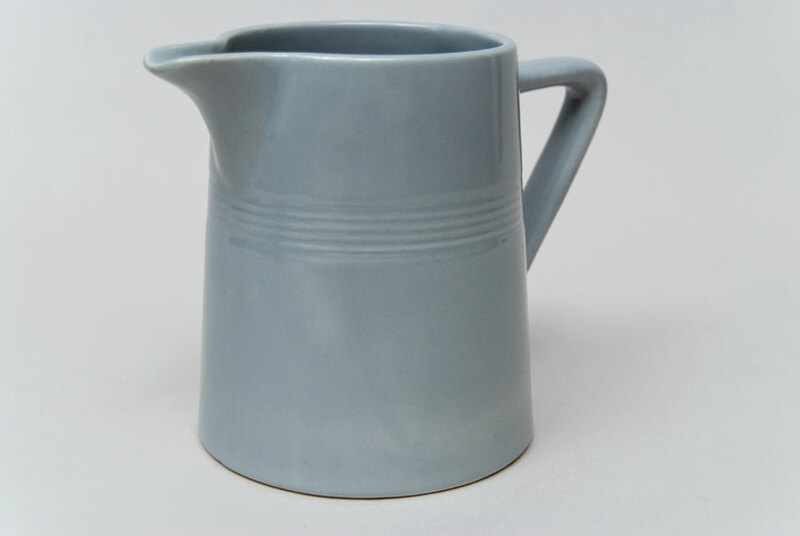 Measures: 5" Tall by 6 1/2" wide when including the great, angular, art-deco handle.